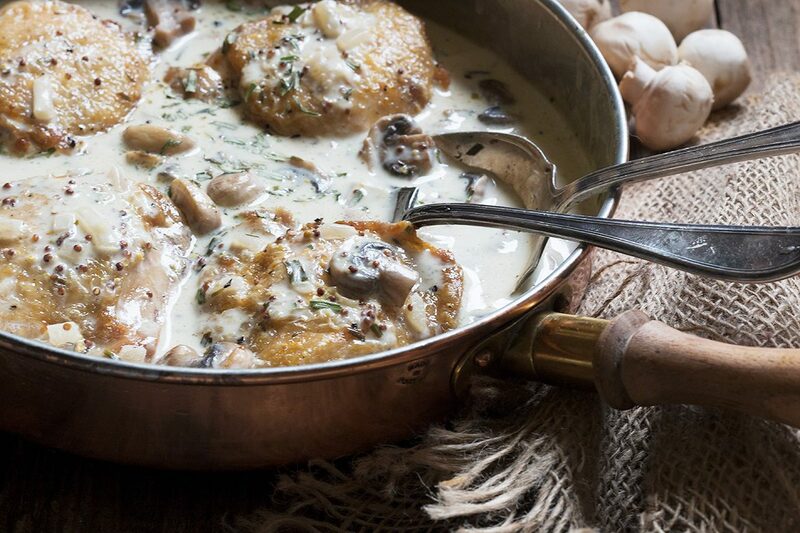 This Chicken Thighs with Creamy Mushroom Tarragon Sauce is one of my favourite dishes. 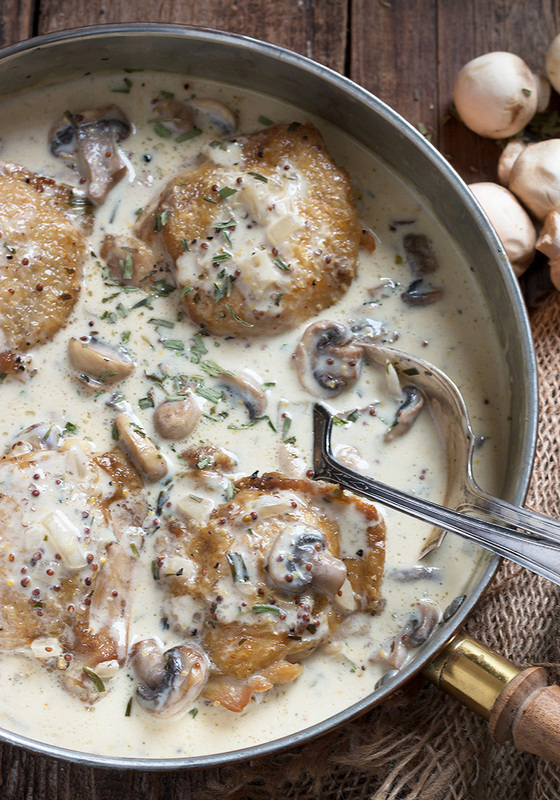 Crispy chicken thighs are combined with a lovely, creamy mushroom sauce, flavoured with a bit of tarragon and grainy mustard. Simple enough for weeknights, but also a great dish for entertaining! I first published this recipe in February 2014. 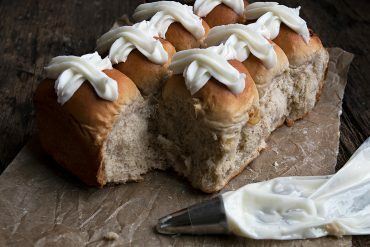 It’s one of my favourites and a regular go-to recipe for casual entertaining. I thought it was due for a little refresh and some new photos. Enjoy! This delicious chicken recipe is one of my all-time favourites. The flavours in this sauce are fabulous – licking the plate fabulous! The healthy addition of white wine, the fresh tarragon, the grainy mustard and the cream make this the perfect dish for a special meal or entertaining! I love these flavours so much, that I’ve found ways to adapt this recipe so it’s a bit lightened up and streamlined for a quick and delicious weeknight meal, too. 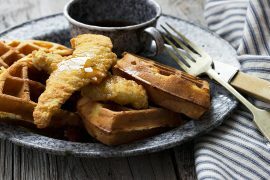 Use boneless chicken breast or thighs and cut in to bite-sized pieces (or try it with butterflied boneless breasts). 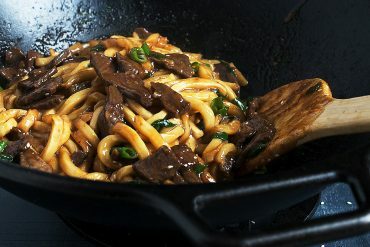 Cook completely in the skillet and remove to a plate rather than in to the oven. 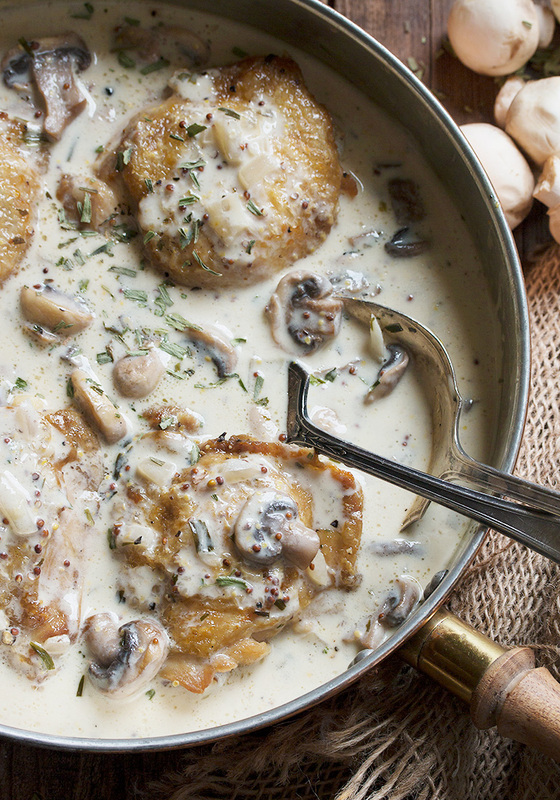 Replace the healthy dose of wine, with just a splash to de-glaze the pan after you sauté the mushrooms. Replace the heavy cream with a lower fat cream (half and half). You may need to increase the amount of thickening at the end. Serve this over simple steamed white rice, along with a green vegetable (broccoli is always good). This dish uses grainy mustard. Look for it in with the Dijon mustards at your grocery store. It’s the one that’s full of mustard seeds. I’m a fan of Maille’s Moutarde a L’ancienne. It’s much more kid-friendly, at least it was in my household, as it’s not nearly as assertive as regular Dijon mustard. The mustard seeds also add great texture to the dish. If you can’t find grainy mustard or don’t have on hand, go with regular Dijon mustard, but reduce the amount to taste. If you don’t have or want to cook with wine, simply omit and increase the chicken stock to 2 cups. If you don’t have heavy cream, or you don’t want to use it, substitute a lightly cream and increase the thickening at the end. You could also use some full fat, Greek Yogurt. 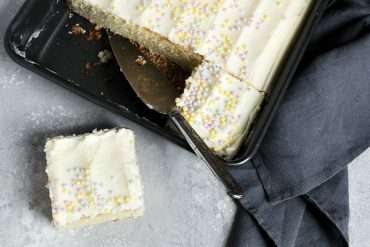 Looking for a dairy free option? Try a bit of coconut cream (the thick part at the top of the can). For a special meal or entertaining: Allow 2 thighs per person, or go for a bone-in/skin on breast instead. Keep the sauce on the thinner side and spoon in to a shallow bowl, over a bit of lovely al dente pasta. Or thicken the sauce a bit more, plate the chicken, spoon sauce over-top and serve alongside a wild-rice blend. Fresh, French green beans, broccolini, rapini or asparagus would also be pretty on the plate. 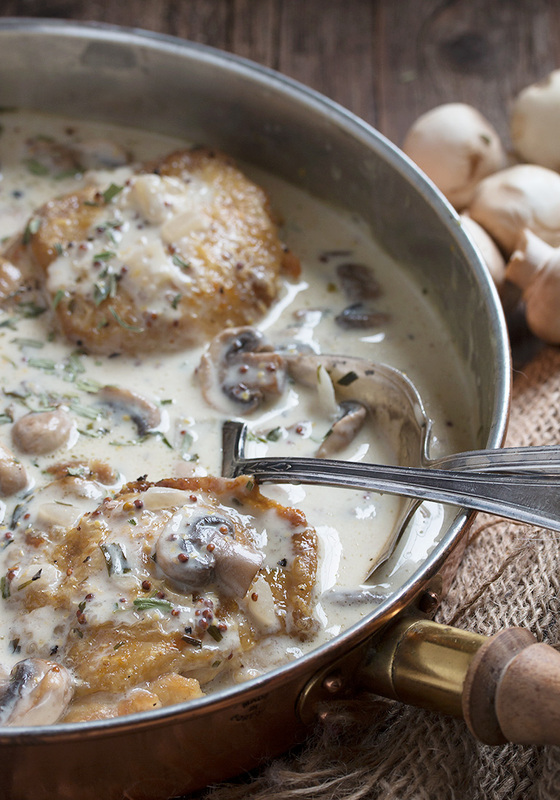 A delicious chicken dish, with chicken and mushrooms, all in a creamy mustard and tarragon sauce. Easy enough for weeknights or special enough for company. Makes lots of sauce, so perfect to serve over pasta, rice or even mashed potatoes. Preheat oven to 375 F. and have a baking sheet ready. In a non-stick skillet, heat 2 Tbsp. olive oil over medium-high heat until very hot. Add chicken, skin side down and cook until golden brown, about 5 minutes. Flip and cook the other side 2-3 minutes. Remove to baking sheet. Place in preheated oven to cook further while you make the sauce. Remove all but 1 Tbsp of fat from the skillet. Heat skillet over medium-high heat. Add mushrooms and cook until golden, stirring often. Add onion and cook a minute or so more, or until the onion has softened . Add wine and cook over medium-high heat until only a few tablespoons remain. Add the chicken stock, cream, mustard and tarragon. Bring to a boil then reduce heat to medium and allow to cook until the sauce is reduced by half, stirring occasionally (this may take 10 minutes or so). Taste sauce and add salt and pepper, as needed. Note: If sauce is not thick enough, combine 1 Tbsp cornstarch with a Tbsp or so of the sauce and stir until smooth. Return mixture to skillet and cook, stirring, until sauce thickens. Repeat as needed. If serving over pasta or rice, don't make the sauce too thick, so that when spooned over, it seeps to coat the rice or pasta. Remove chicken from oven and place on a serving platter or dish. Pour sauce over-top. Garnish with additional tarragon. Serve over buttered noodles, pasta or rice. So glad to hear, Sue :) I am a huge tarragon fan. The flavour is very unique and special, for sure. Thanks! I made this for dinner this evening and it was really delicious. If never had tarragon before and definitely plan to use it in the future. Thank you so much for sharing your recipes and working hard to make each dish. 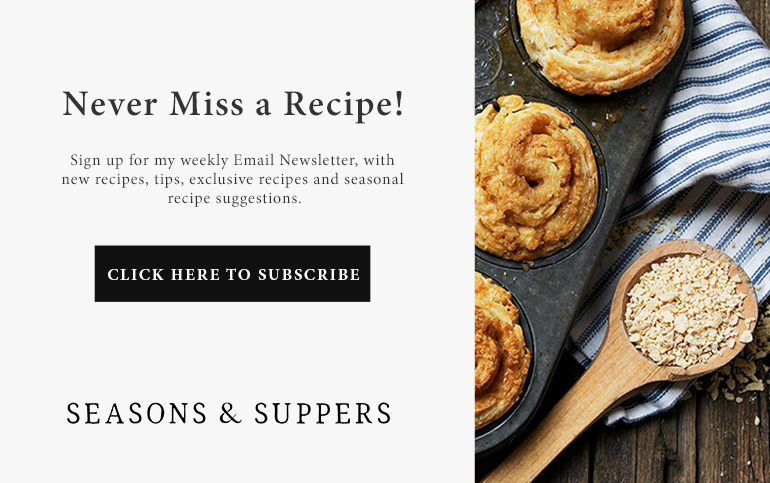 I’ve made numerous recipes of yours and keep coming back to your collection because the recipes are straightforward and well written. Thanks again! Made this for dinner tonight – lovely! 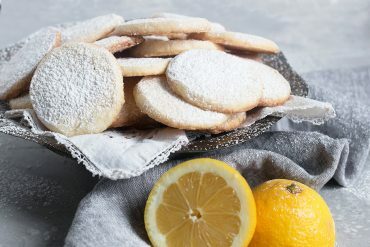 Such a nice, easy recipe and much enjoyed. But then, I love using Tarragon in most any dish. I make tarragon mustard which is sublime. So glad to hear, Mary and I’m totally with you on the love of tarragon. Especially with mustard, so I’m sure your tarragon mustard is sublime! I’m with you on the cream, for sure :) And yes, the combination of tarragon and mustard is a definite winner! Your photos make me feel like a welcomed guess sitting at your table. So warm and comforting…always! This is a recipe for the recipe tin! Pinned! Yum! I remember loving this dish the first time I saw it, now it looks even better, if that’s possible! I love all your variations too. Me, too Tricia :) I was craving a feed of this one, so went for it! One of my favourites. So glad you reposted this one Jennifer! It looks incredibly delicious, and something my husband Tom would just adore! 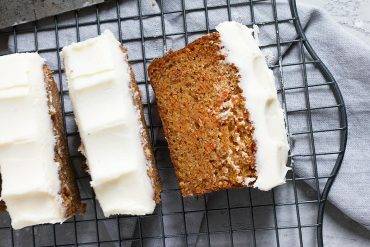 I just wanted to let you know that when I first saw this recipe on Pinterest, last week, I rushed home to make it and LOVED it! I’m making it again tonight and I will make it again, and again! Thanks for sharing! Do you have any suggestions for a substitute for the heavy cream? I rarely comment on recipe pages but this one was phenomenal. Thanks so much! Thanks so much, Shannon. It’s a favourite in our house! You had me at creamy! No, but really, what a perfect chicken dish. 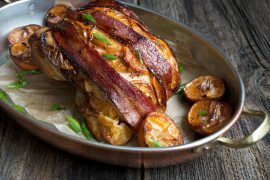 Definitely need to make this for Sunday supper! 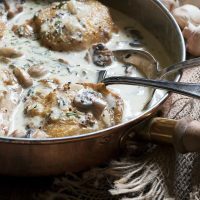 What a delicious skillet meal, I love the mustard tarragon sauce! Thanks so much, Laura. I’m a real tarragon fan, so always looking for ways to use more of it. I think it is a pretty dish! 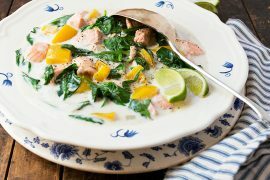 At least when you’re behind the lens it is :) Sounds like a perfect one-skillet dinner! I love mustard and terragon, both. Together sounds wonderful! Thanks Sophie. I wasn’t sure it said “You want to eat this” :) It’s just so easy and delicious though, so wanted to share. You would like. The flavours together are great. Jennifer, this is just my kind of meal! I love it and am actually thinking I might make it for company this weekend! Lovely photos, too! Thanks so much, Christina. I’ve made this for company before, as well. It easily goes from rustic skillet to elegant dish on the plate.